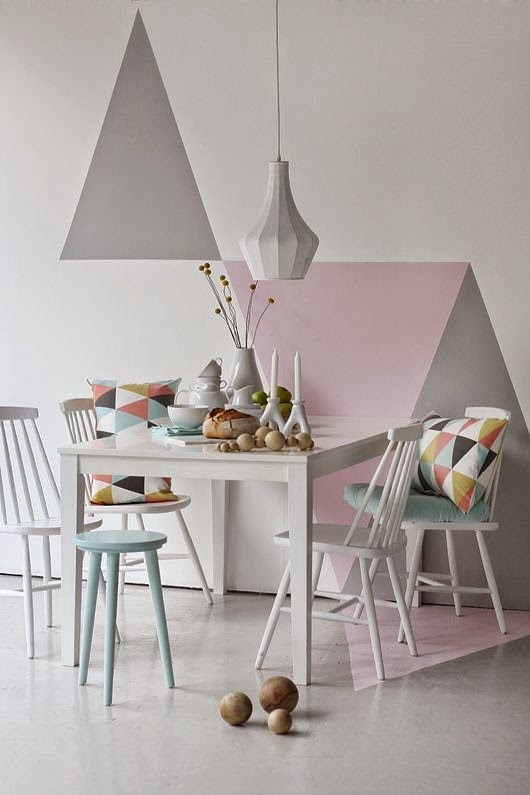 Happy Monday everyone, thought I would start it off with some happy interior inspiration and this week is all about geometric print. 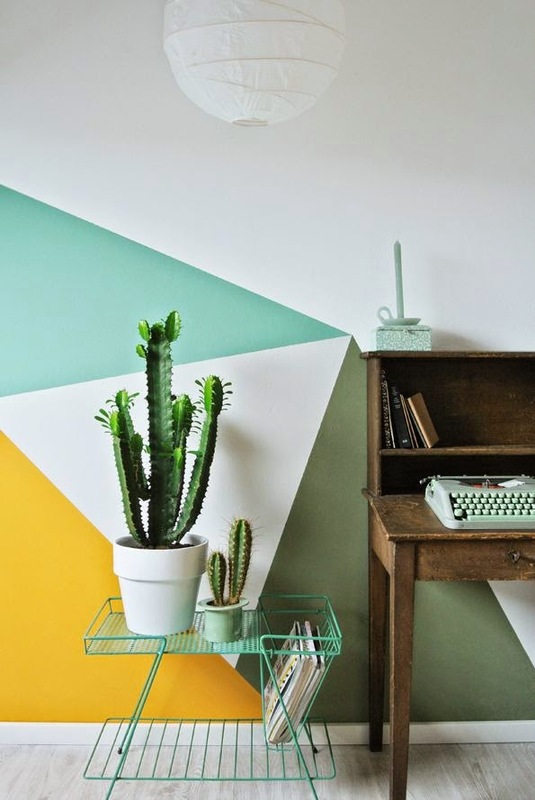 Oh how colourful and well done geo print makes me happy - just look this this striking wallpaper and cheerful cactai! 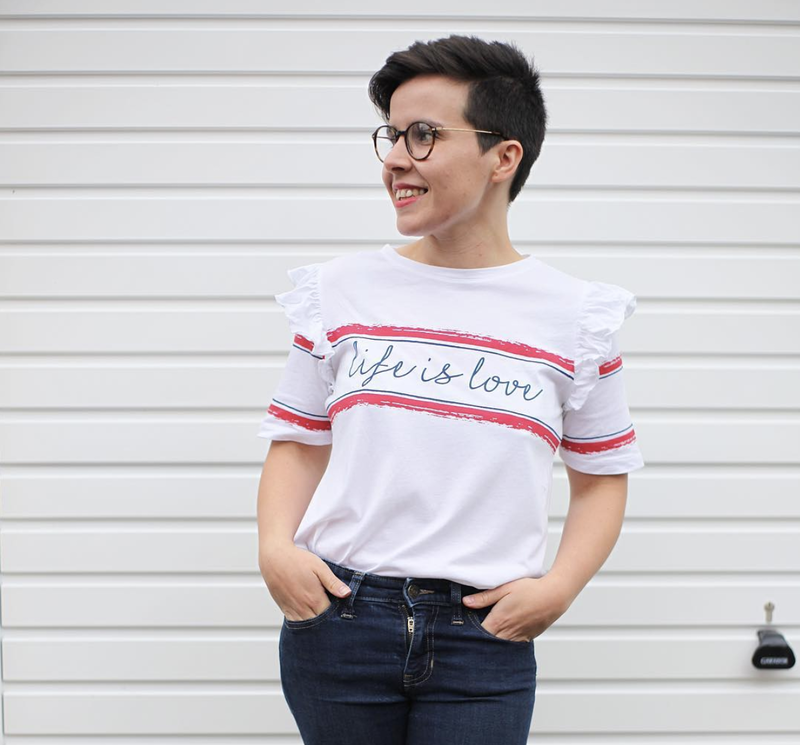 I thought perhaps by now I would be bored with this quirky style but I am not...at all and cannot wait to move later this year to a house that hopefully has a space for a home office which will be style with some geometric happiness. What kind of print/design or trend is making you happy this Monday morning? 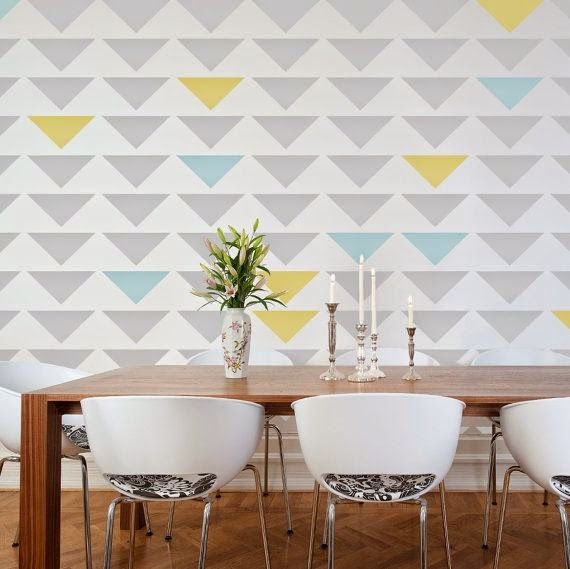 I love geometric design. It's probably because I'm really into stars and triangles. But anything angular and colourful is rad. Stunning! The pattern is amazing!